Offering you a complete choice of products which include agate pestle mortar and laboratory silica crucibles. We have gained expertise in providing our clients with Agate Pestle Mortar that is available in different sizes and models at market leading prices. These products are designed in compliance with international quality norms & standards, using high-grade raw material. In addition to this, our expert quality controllers stringently check all the products on various parameters to ensure flawlessness. 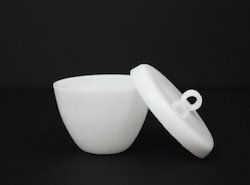 Owing to our expertise in this domain, we have been able to bring forth the clients a gamut of Laboratory Silica Crucibles. All the products are manufactured by our expert professionals in strict accordance with the international quality standards. Developed using premium quality raw material and advent tools & technology, the products are widely appreciated by the clients for their durability, reliability, excellent performance and high functionality. 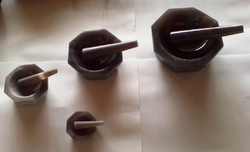 Looking for Agate Pestle Mortar & Silica Crucible ?